Sturdy and strong. Cut-resistant. Nonabsorbent, making them available for a wide range of applications. 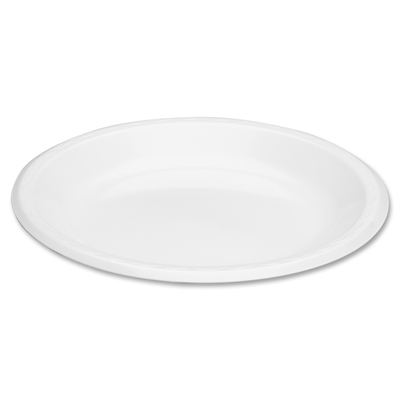 7350009269233 "Plate (Tray), Paper, 3 Compartments, Rectangular, 8 X 10", White"
Laminated foam dinnerware is sturdy and strong, designed for occasions when solid plastic is too much and paper plates are not enough. Cut-resistant plates will not absorb liquids, making them ideal for a wide range of applications.